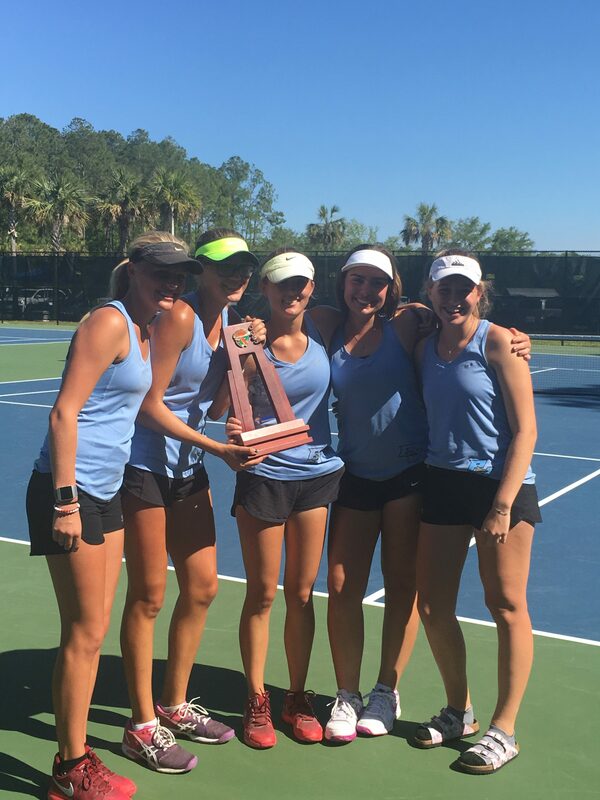 The Ponte Vedra girls tennis team has posted a 5-4 record at mid season after a weekend of tennis played at the Florida State indoor tennis facility. 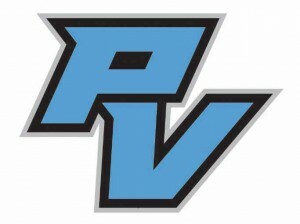 The Sharks posted wins over Lake City Columbia and Fort Walton Beach, while falling to Pensacola Catholic. The Sharks will play their first district match against Clay, then traveling to Episcopal, before taking a week off for spring vacation. 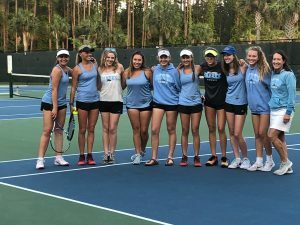 The Ponte Vedra girls tennis team improved their record to 3-2 with wins over Leon High School and Stanton College Prep, against a single loss to Creekside. Highlights of the matches include a thrilling split set match won by Elle Stamatogiannakis against Carsyn Kenny of Leon ( 4-6; 6-4; (10-8)). Claire Olson and Emma Notari also both competed fiercely before losing split set matches in tie-breakers. Against Stanton, the Sharks were perfect coasting to a cool 7-0 win. Colette Dwyer (5S) and Emma Greer (4S) posted their initial wins in the singles category. Mary Mersereau remains unbeaten through five matches, posting a win at Line 3 against Stanton. After hosting St Augustine, the Sharks will compete in a 4-team weekend tournament at the Episcopal School of Jacksonville. 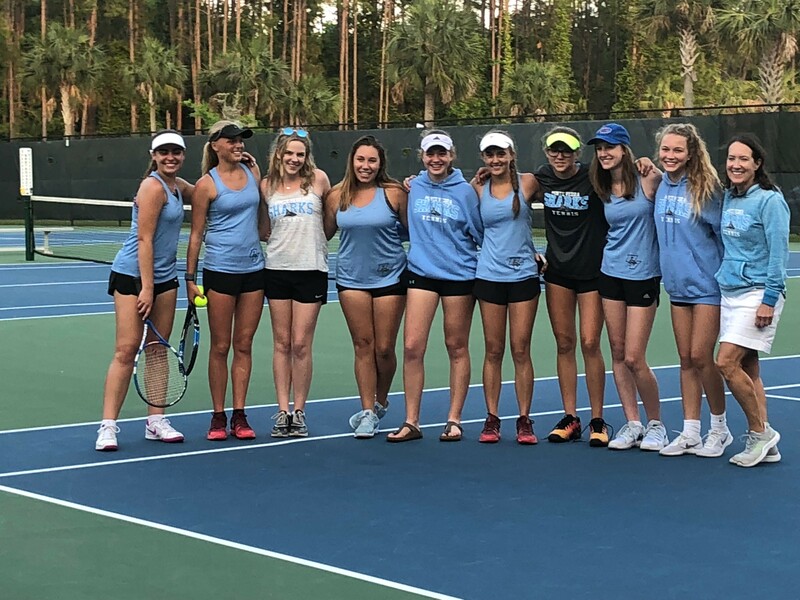 The Ponte Vedra girls tennis team posted their first win of the season by defeating Fleming Island 6-1. 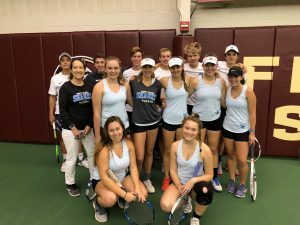 The team was led by Claire Olson who won at both 1 singles and 1 doubles. Emma Notari and Ellie Stamatogiannakis also posted two wins in both singles and doubles. Mary Mesereau remains undefeated at five singles. 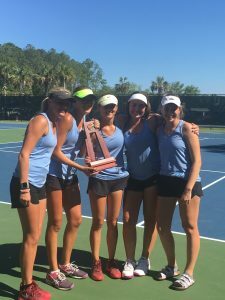 Emma Greer earned her first win as a Shark at two doubles with Emma Notari. The team will be away at Creekside on Feb 20th. On Feb 12th the Ponte Vedra Sharks opened the 2019 season in a rain-delayed match with the Bartram Trail Bears. Mary Mersereau was the lone winner in a 6-1 team loss to the bears. The match featured several close and hard fought match-ups. Mersereau defeated Nicole Jerout (4-6; 6-4 (10-6)). Anna Handley lost a marathon match to Dannella Torres that saw three tie breaks (6-7 (9-7); 7-6 (7-3) (10-3)). Emma Notari (at 3Singles), Elle Stamatogiannakis (2S) and Claire Olson (1S) open the season with hard fought defeats. We will hold our first day of tryouts on Monday, January 21st. (This is a school holiday and students are not required to attend, but it will be helpful. Ponte Vedra Student Athletic Clearance MUST be completed and a copy of an athlete’s physical MUST be uploaded prior to trying out for any sport. Please click on the below link for the step-by-step directions on how to upload documents for your athlete. Home school students must complete and EL7 form with our county office and submit to athletics prior to the first day of the season along with the above listed forms.